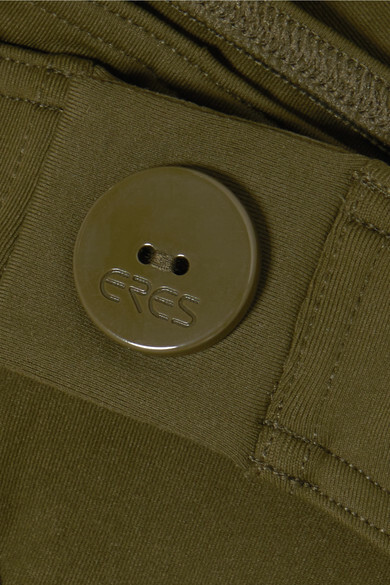 Eres' bikini is made from the label's signature peau douce fabric that's soft, smoothing and durable. 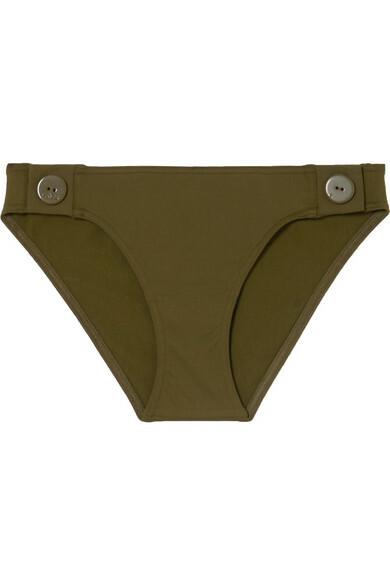 Designed in a versatile army-green hue, it has a triangle top and low-rise briefs that are both detailed with functioning buttons. 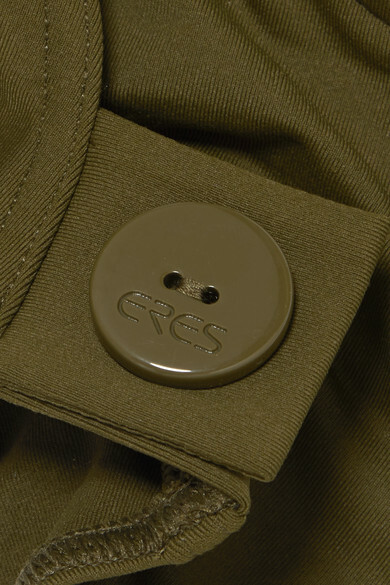 Mix and match yours with other earthy shades in the brand's collections. Wear it with: Miu Miu Sunglasses, Jennie Kwon Designs Necklace, Loren Stewart Ring, Catbird Bracelet, STONE AND STRAND Ring.